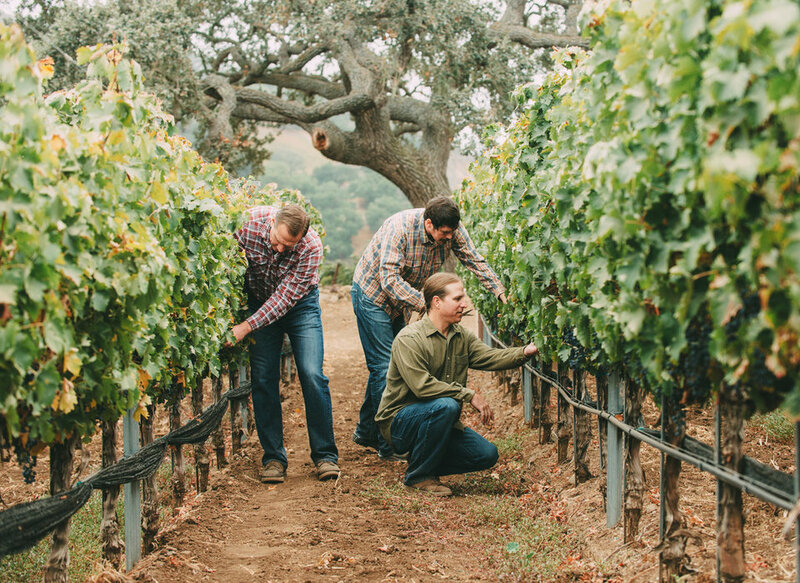 Brothers, John and Steve Dragonette, and close friend Brandon Sparks-Gillis, founded Dragonette Cellars in 2005 after working together at a renowned wine shop in Los Angeles. Their shared passion for great wine brought them to wild, windy, and remote northern Santa Barbara County where they spent the next several years seeking out extraordinary, cool-climate vineyards and dedicating themselves to careful, patient, minimalist winemaking. As vignerons, they have committed themselves, above all else, to the mindful farming of precise blocks in exceptional vineyards for low yields and high quality and to the shepherding of these grapes into wines of purity, complexity, and balance. Given the remarkable climatic and soil diversity in Santa Barbara County, Dragonette Cellars produces small lots of Pinot Noir, Sauvignon Blanc, and Syrah.